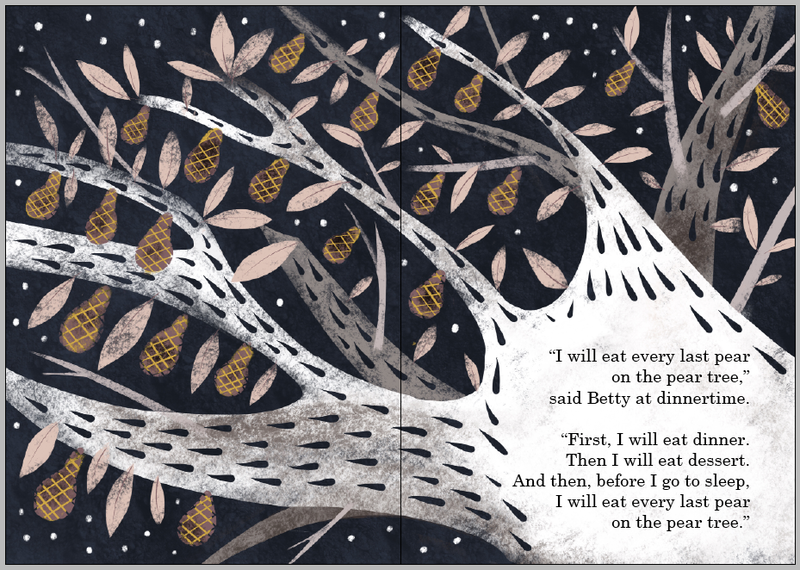 One night, Betty declares that she will eat every last pear on the pear tree before she goes to bed. 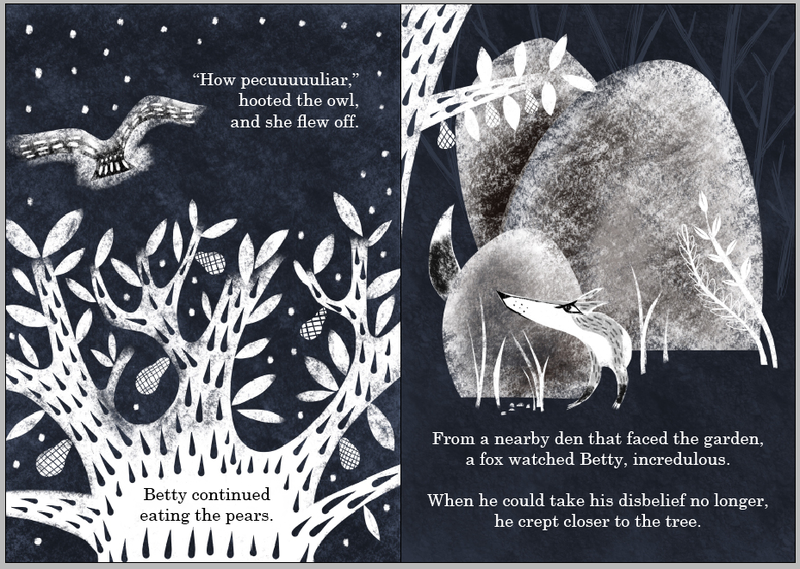 The animals in her garden all begin wonder: What's the reason for Betty's mysterious feast? These few spreads are from my first full picture book dummy. 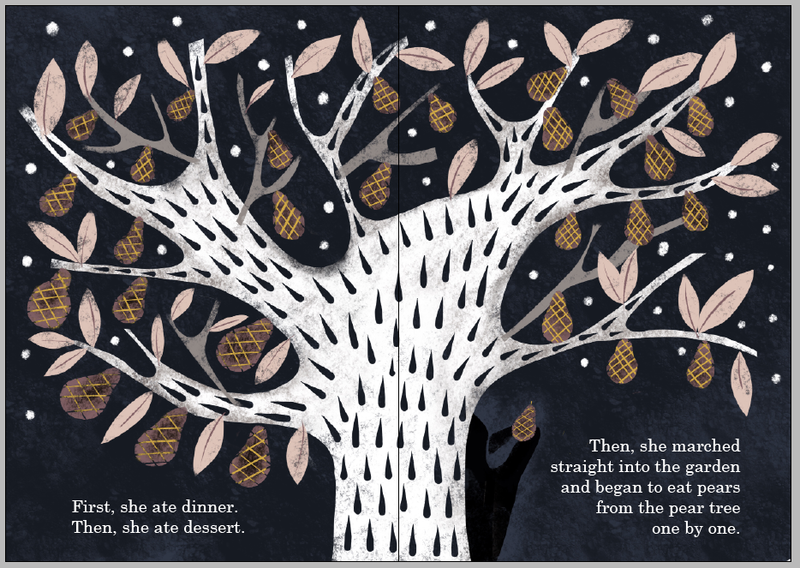 Though most of the roughs are still in dark blue and white, the first two spreads are in full color.